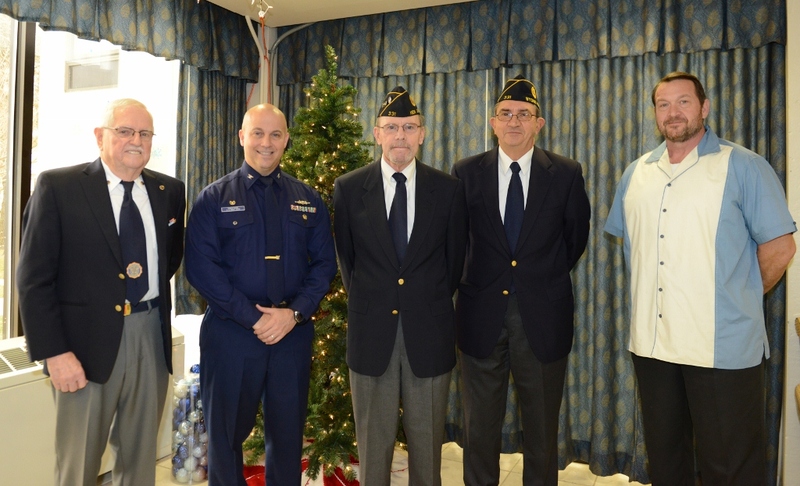 Four active members stationed at the United States Coast Guard Base in Cape May, New Jersey will be flying home for the Christmas holiday courtesy of American Legion Post #331 in Stone Harbor and Avalon. The Post will award the airline tickets for the holiday trips during an event at the Stephen C. Ludlam Post #331 in Stone Harbor on Saturday, December 8th, at 12 Noon. “This is our way of showing how much we appreciate these young men and women who serve our country proudly in our home county”, said American Legion Post #331 Commander Tom McCullough. “For four consecutive years, and thanks to the generosity of our friends and neighbors, we are able to send active members and their families home for Christmas to be reunited with loved ones”. American Legion Post #331 has partnered with the United States Coast Guard Base to provide the trips home for interested active members at the rank of E6, or below. The USCG collects the names of the interested individuals and random drawings are held to select the members who fly home. They receive round trip airfare to and from their destinations, and limousine service to and from the airport courtesy of Avalon Limousine. This year, members and their families will be flying home to California, Alaska, North Carolina, and Texas. The idea for this program was initiated by former Post Commander James Fleischmann, who served in the United States Air Force from 1967-71. “I remember literally having to hitchhike from Maguire Air Force base to my home in northern New Jersey for the holiday season because we had no money in those days to get home”, Fleischmann said. “I thought of this idea to help facilitate the reuniting of active member families during the most special time of year to create cherished holiday memories”. The active members work out the days and amount of time they are able to have off with the USCG and travel arrangements are made. During the gathering on December 8th, the families will be awarded their travel tickets for the holidays. On the following day, Sunday, December 9th, the Post will host a three-hour open house starting at 1:00pm. During the event, the Post intends to honor Korean War and World War II veterans. The public is invited to the open house. This program is fully funded through donations from individuals and businesses in our community. If you are interested in participating in the 2019 program, please contact James Fleischmann, trustee of American Legion Post #331, at jpfleischmann@gmail.com. The Stephen C. Ludlam post is located at 11617 Second Avenue, Stone Harbor. Members of the public are invited to the presentation of travel arrangements to the families on December 8th.